Vancouver, BC – November 20, 2017 – Holborn and TA Global Bhd. 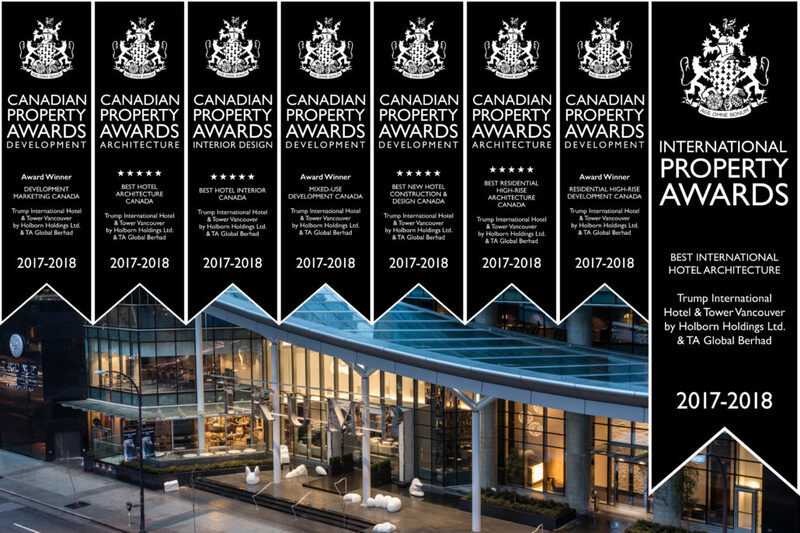 announced today that they earned 7 awards at the recently hosted Americas Property Awards for their development of the Trump International Hotel & Tower Vancouver. 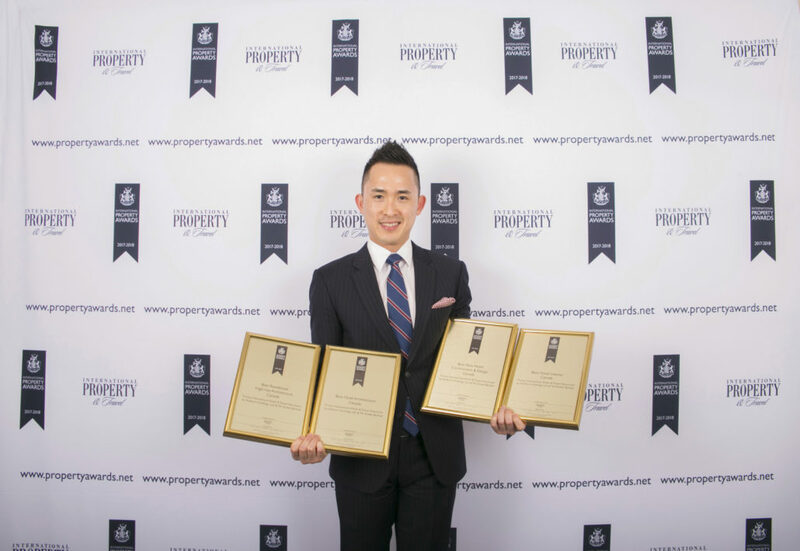 In addition, Holborn and TA were selected as the 5-star winner for four categories to represent Canada and compete against other properties around the world at the Grand Finals of the International Property Awards hosted on December 4th in London, England. 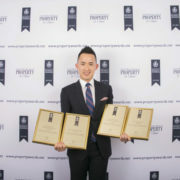 The four categories are Best New Hotel Construction & Design Canada, Best Hotel Architecture Canada, Best Hotel Interior Canada and Best Residential High-rise Architecture Canada. 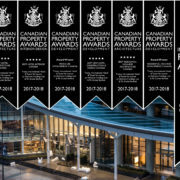 *Dec 4, 2017 update: Trump International Hotel & Tower Vancouver has won the Best International Hotel Architecture Award at the International Property Awards ceremony held in London, England. Designed by acclaimed Canadian architect Arthur Erickson, Trump International Hotel & Tower Vancouver stands at 616 feet. The twisting design of the tower and its timeless elegance convinced 80 judges from around the world to cast their vote for this iconic architectural structure. Construction started in 2012 with more than 1000 workmen involved. The tower utilized cutting edge technology during the building process. 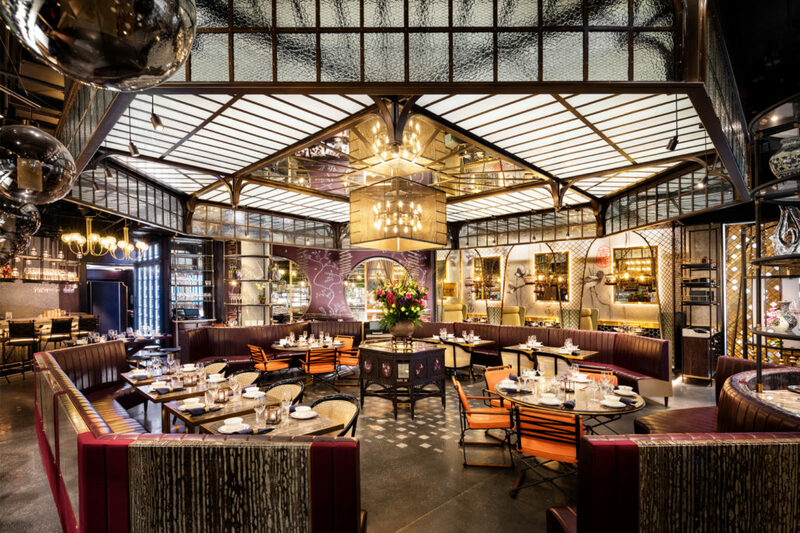 Besides the stunning architecture and state-of-the-art construction methods, the interior of the hotel was crafted by a world-class, preeminent design team, including Joyce Wang Studio from Hong Kong, who designed the fine-dining Chinese restaurant Mott32, Francois Frossard Design from Miami for Drai’s Vancouver, Burdifilek from Toronto for Trump Champagne Bar, and BOX & MCM Interior for Trump Hotel & Residences. 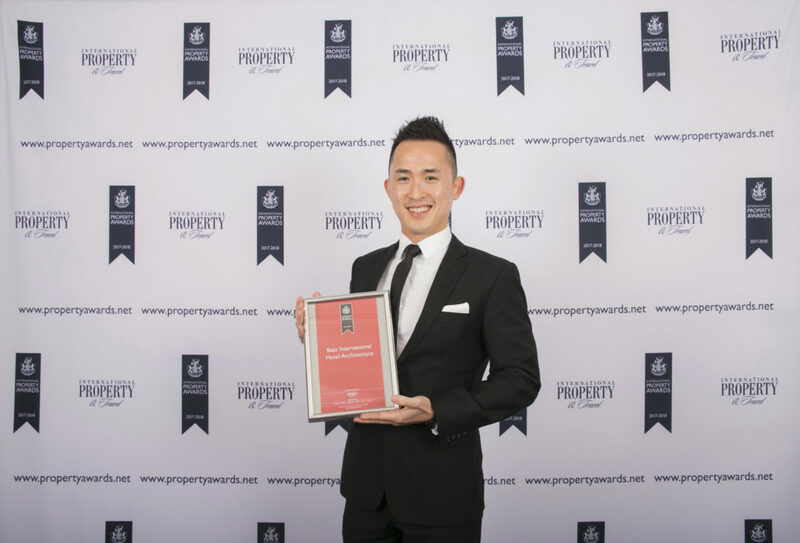 The International Property Awards is one of the most prestigious industry awards in the global real estate industry, with a nearly 30-year history. Applicants from 160 countries participate each year in the hope of having their projects recognised. 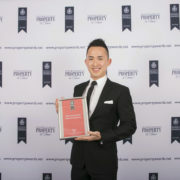 More than 140 companies have entries in the 2017 Americas Property Awards, and Holborn and TA Global is the only applicant from the Americas region to collect 5-star awards this year in four core categories and to be nominated to represent their region to compete at the Grand Finals of the International Property Awards. “My vision is to build Trump Vancouver as a new symbol for Vancouver that echoes the city as an international gateway city. I am so thrilled this has been implemented perfectly and industry experts from all around the world have recognised the beauty of this building,” said Joo Kim Tiah, Principal of Holborn, the developer of Trump International Hotel & Tower Vancouver. “Beauty is a universal language, and it speaks for itself,” Joo Kim added. 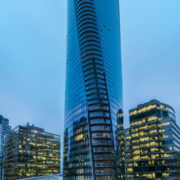 Trump International Hotel & Tower Vancouver was completed in February 2017. The 214 residential condo units sold out at a record high average price of $1610/sq ft. The Trump Hotel Vancouver has welcomed 200,000 guests from around the world since opening its doors on February 28, 2017, and amongst other amenities features Mott 32, the award-winning Hong-Kong based Chinese fine dining restaurant and Drai’s Vancouver, the city’s first pool-side ultra-lounge. 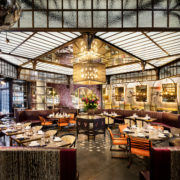 The seven categories Holborn & TA Global earned at Americans Property Awards are Development Marketing, Hotel Architecture, Hotel Interior, Residential High-rise Architecture, Mixed-use Development, New Hotel Construction & Design, and Residential High-rise Development. The respected Vancouver-based real estate development company has extensive global experience and a reputation for high quality, innovative communities and people-minded results. Holborn’s diverse portfolio of projects and real estate holdings throughout British Columbia include retail, residential, office and hotel properties. The company seeks to create communities that are socially-engaged and responsible, while constructing exceptional and sustainable buildings. Its vision is to be a global real estate company renowned for breaking patterns, shifting perceptions and expanding the boundaries of the industry. The key areas of business for Holborn are property development and asset management. Besides Trump International Hotel & Tower Vancouver, Holborn’s current development projects include the 15-acre Little Mountain re-development, and the 18-acre University Heights Phase 2 in Squamish, BC. The asset management division includes the Summit Lodge Boutique Hotel in Whistler, and the two acre city block in downtown Vancouver at Seymour and West Georgia. Visit holborn.ca for more information, or follow @holborngrp on social media. TA Global Berhad (TA Global Bhd. ), one of the largest listed property development companies in Malaysia by market capitalization, is involved in a diversified range of property services which include property development, property management, property investment, trading, hospitality operations and construction. In Malaysia, TA Global Group made significant strides in establishing itself as a niche luxury lifestyle property developer with its successful launches of niche premium residential properties. In recent years, the Group has also established its presence in developing mixed development projects in Canada and Australia. Visit taglobal.com.my for more information, or follow @TAglobalbhd on social media. Trump International Hotel & Tower® Vancouver is a luxurious urban residence hotel and an iconic landmark in Vancouver. Important to Vancouver, Canada and the architectural society of the world, Trump Vancouver will stand 616 feet (69 stories), the second tallest building in Vancouver. Designed by world-renowned Canadian architect, Arthur Erickson, the twisting tower maximizes the window features and views in every room, and because of this unique design, every room is distinctive with no two floorplans exactly alike. Listed in Forbes Travel Guide’s most anticipated hotel openings, Trump Vancouver features 147 generously refined and luxurious residential feeling guest rooms and suites; the city’s first poolside ultra-lounge, Drai’s Vancouver; The Trump Champagne Lounge; Mott 32, the award-winning Hong-Kong based Chinese fine dining restaurant; The Spa by Ivanka Trump and 15,000-square feet of elegant meeting and event space. Above the hotel are 217 stylish residences, offering spectacular views of English Bay, the North Shore and beyond. Trump Vancouver is British Columbia’s newest premiere lifestyle and entertainment scene and the perfect complement to the beautiful coastal city of Vancouver with a mix of urban flair and immense natural beauty. Vancouver is known around the world as a popular tourist attraction, ranked North America’s top destination for international meetings by the International Congress and recognized as one of the top 10 best places to live in the world. Trump Vancouver is located at the heart of the Golden Mile at 1161 West Georgia Street in downtown Vancouver and 13.5 kilometers (8 miles) to Vancouver International Airport (YVR). For more information, visit trumphotels.com/vancouver, or follow @TrumpVancouver on social media.